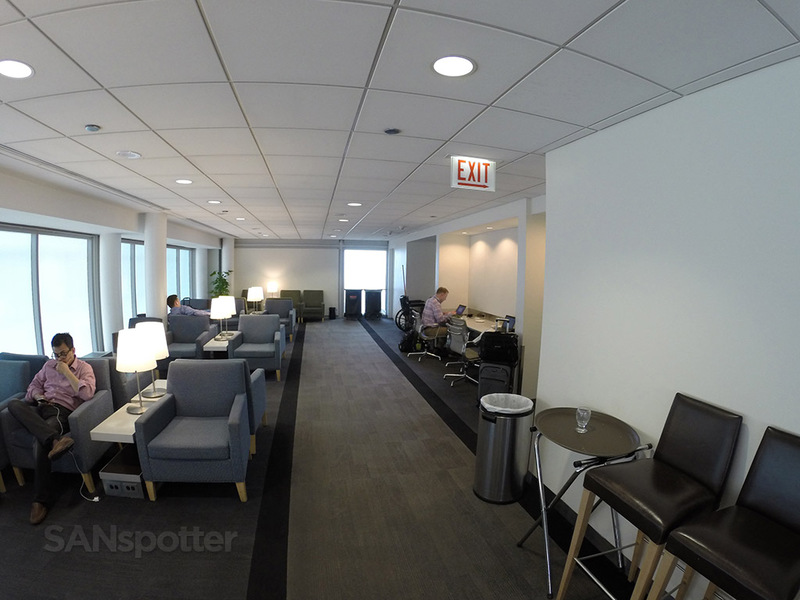 The best thing about having long layovers at big airports such as O’Hare is the chance to relax and bit and try out some new-to-me airline lounges. And as strange as it may sound given how much time I’ve spent inside ORD over the years, I have never once stepped foot inside of an airline club here. 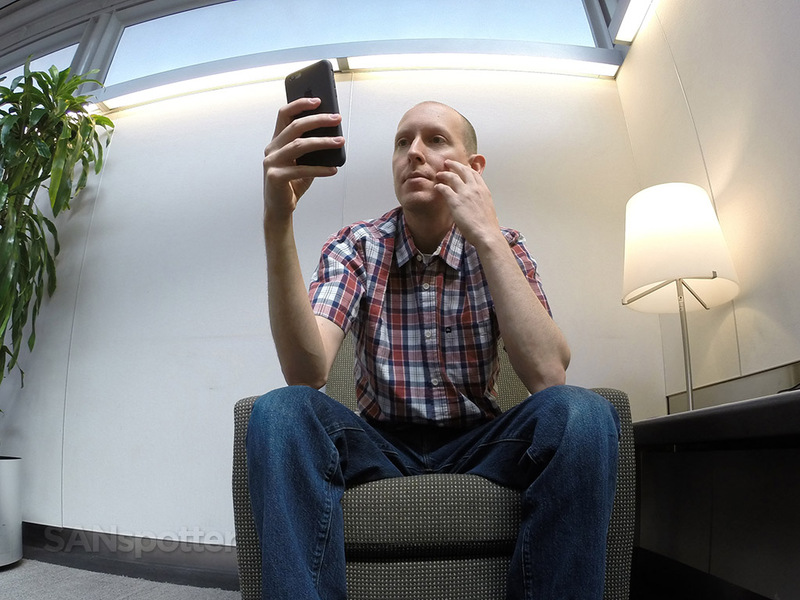 By the time I passed through security, I had exactly 4 and a half hours before my flight to SFO started boarding. 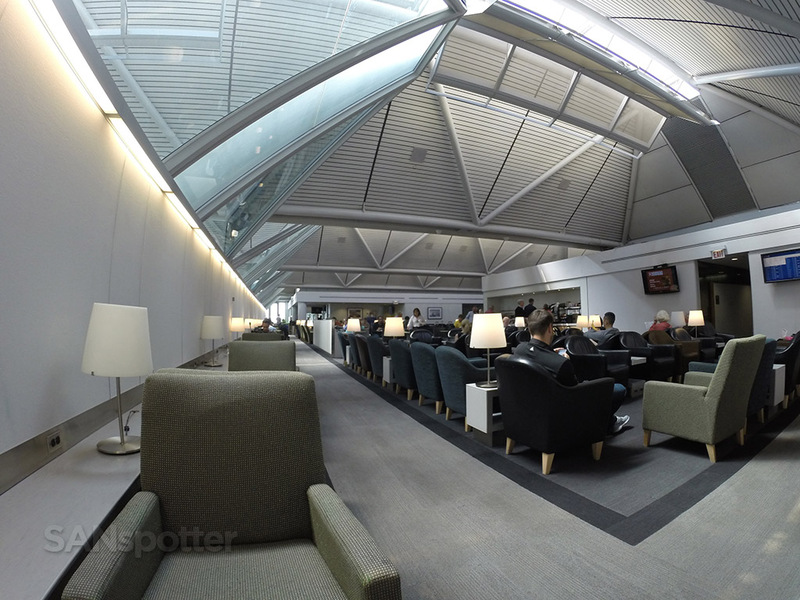 That would be plenty of time to check out at least two lounges of my choice, but the problem was that the only one I had “free” access to was the American Airlines Admirals Club over in terminal 2 (thanks to my Citi Executive card). 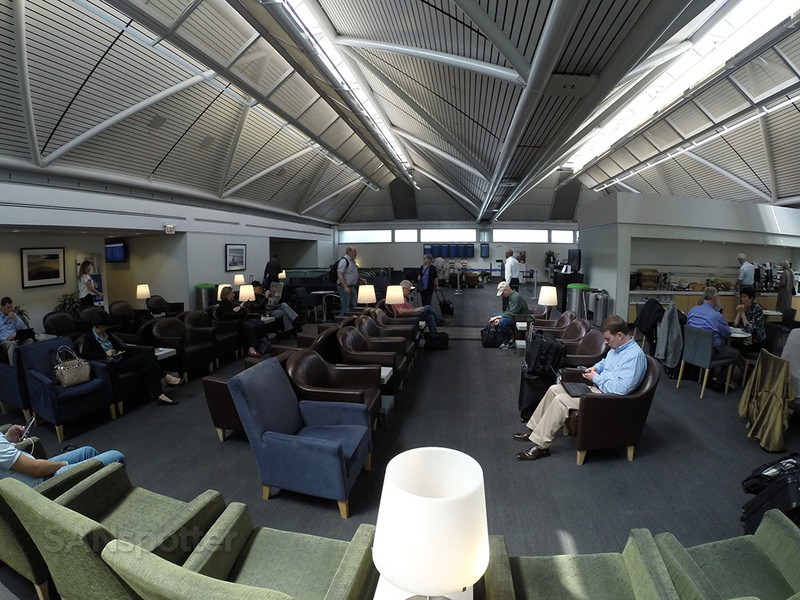 That meant that I’d have to pay out of pocket to visit any other lounge today, and ultimately I decided on paying the $60 fee to visit the United Club (across from gate B6 here in terminal 1). That’s a total rip off, I know, and I can almost hear the corporate UA guys in downtown Chicago sitting around the boardroom table laughing their asses off at the idiot (me) who actually purchased a one-time club pass at that ridiculous price. 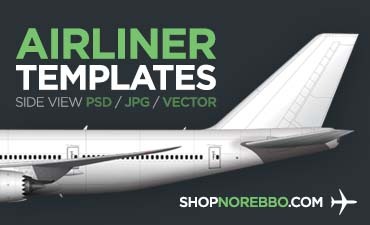 But hey, these are the kinds of sacrifices I have to make sometimes in order to get decent content for SANspotter.com. 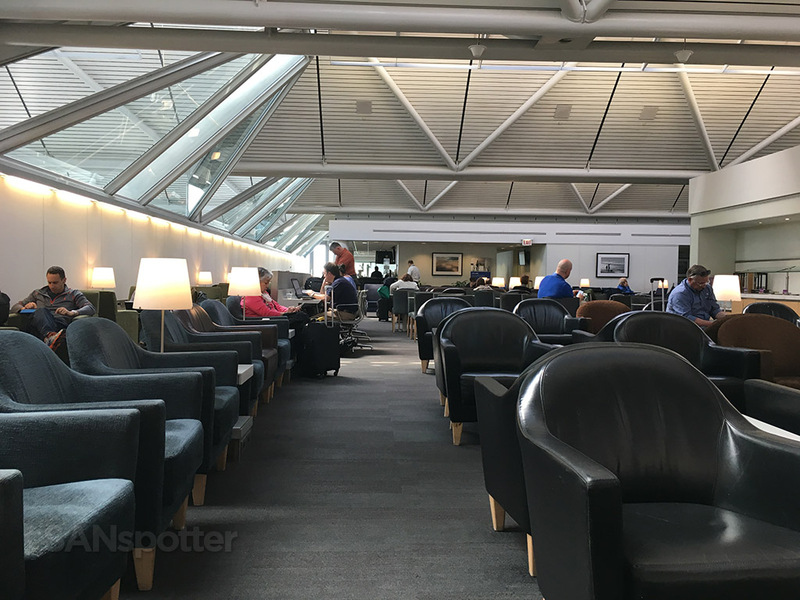 Rumor has it (ok, it’s actually a full-fledged fact) that one of the two United Clubs here in concourse B had recently been renovated, and that was the one I wanted to see. Unfortunately, 5+ minutes of Google searching revealed exactly zero information as to which specific club had received the renovations. 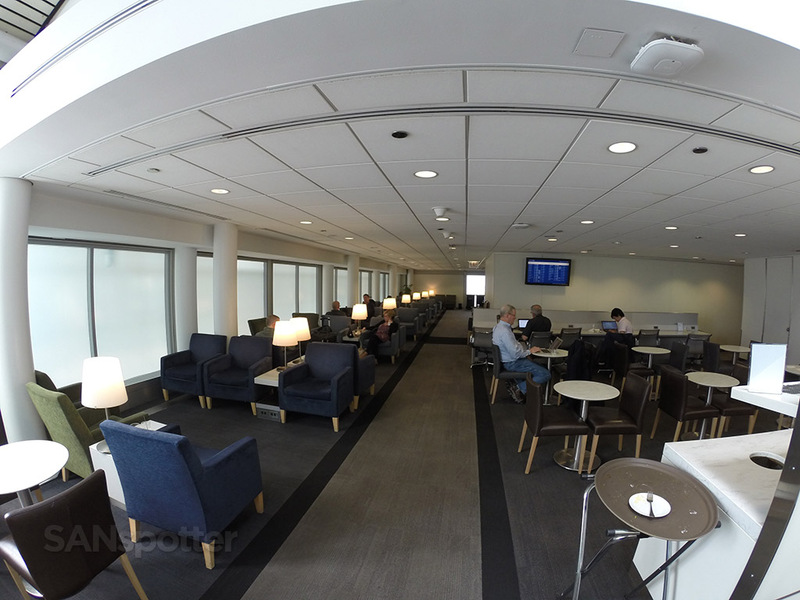 I easily found tons of really nice reviews of “the newly renovated United Club in concourse B”, but absolutely none of them revealed which of the two it was. 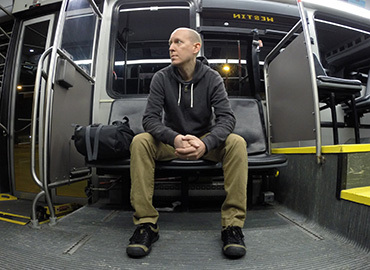 It just so happened that I was standing right next to the club entrance near gate B6 as I was doing my investigation, and in a moment of defeat I simply said “screw it” and decided to review this one today. Which one I reviewed didn’t really matter anyway, since I’ve never been to any of them in the first place. I’ve got to start somewhere, right? 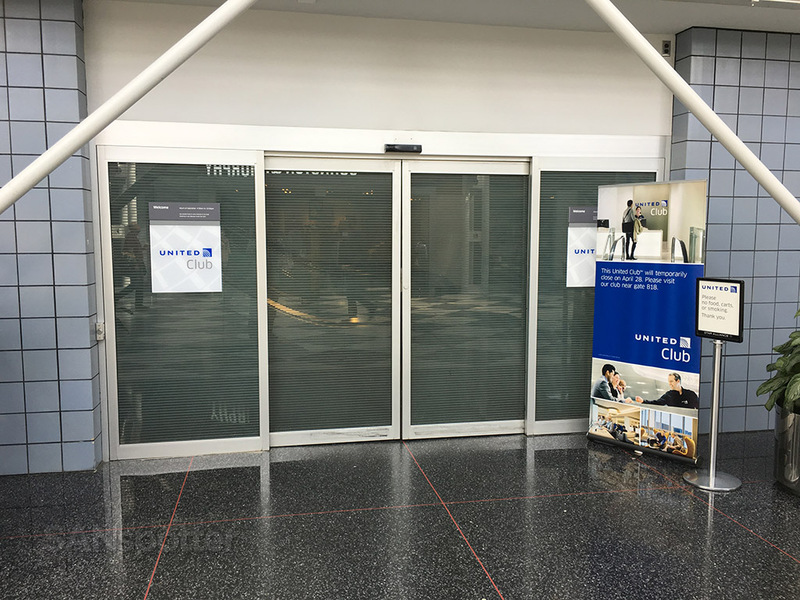 Main entrance to this United Club, which is located near gate 6 here in concourse B (terminal 1). 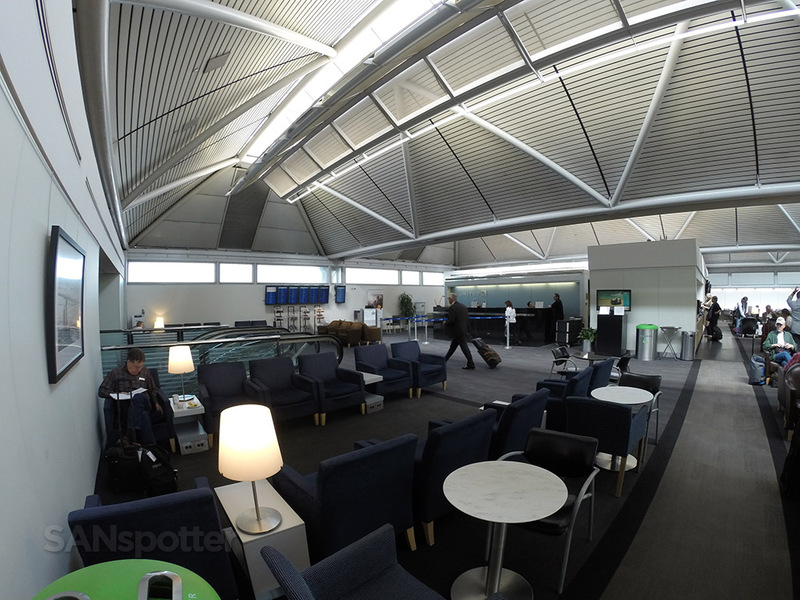 The check in desk is on the first floor, and the lounge is upstairs. 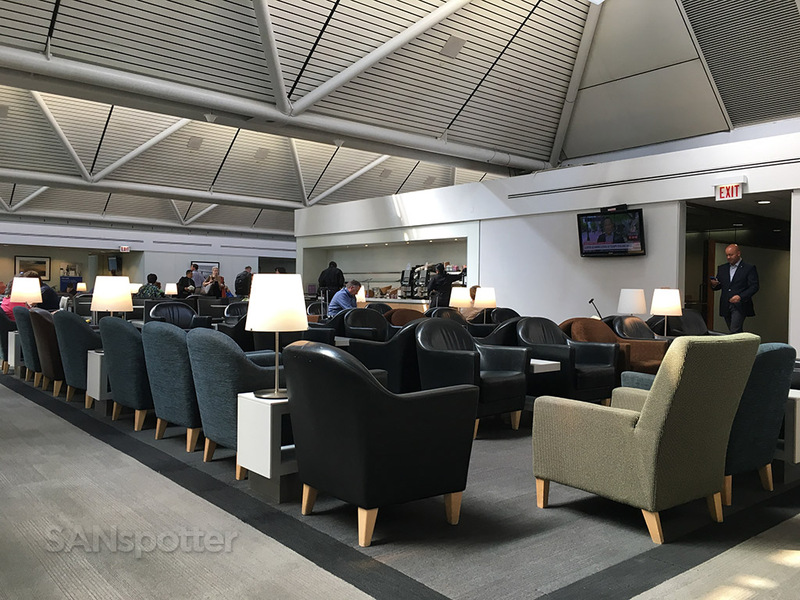 Right away, even though this particular United Club was very nice, I realized that this was indeed not the newly renovated one (due to the fact that the decor didn’t match the pictures I saw online). That’s not to say that I was feeling bad for making the wrong choice. Hardly! Right away I found this lounge to be quite spacious and inviting, and a decently quiet place to sit and relax for a while. 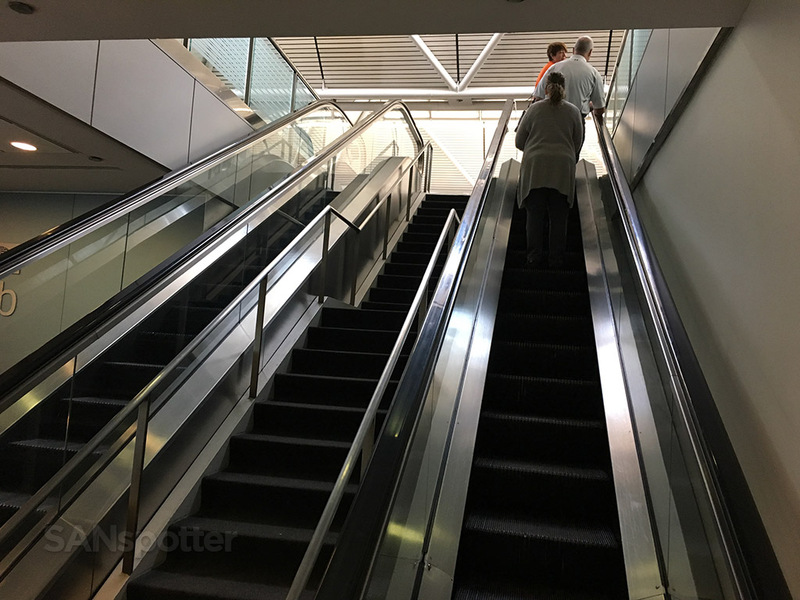 The entrance escalators are forward on the left, with the customer service desk just ahead of it. Here’s another view looking toward the entrance from the far wall. 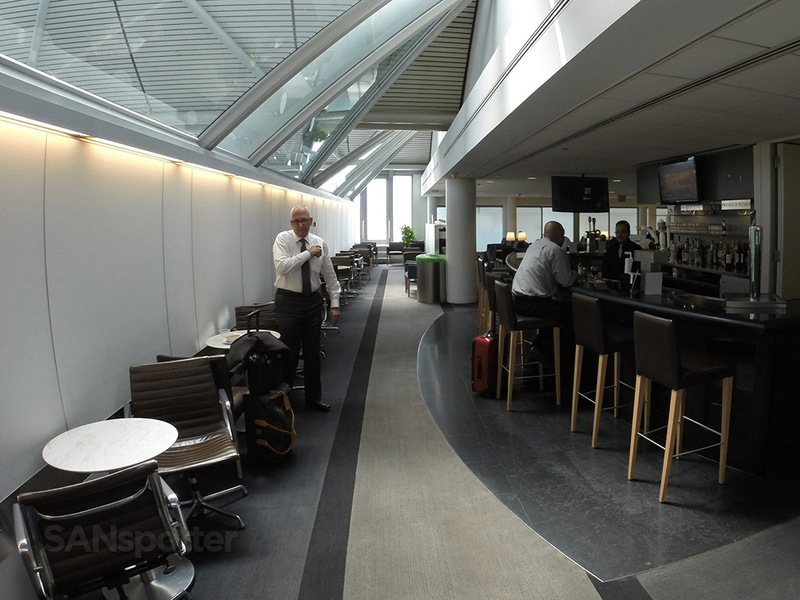 The overall feel of this United Club was nice – I really appreciated the abundance of natural light. A flashy lounge this is not – but the muted tones and colors are nice. 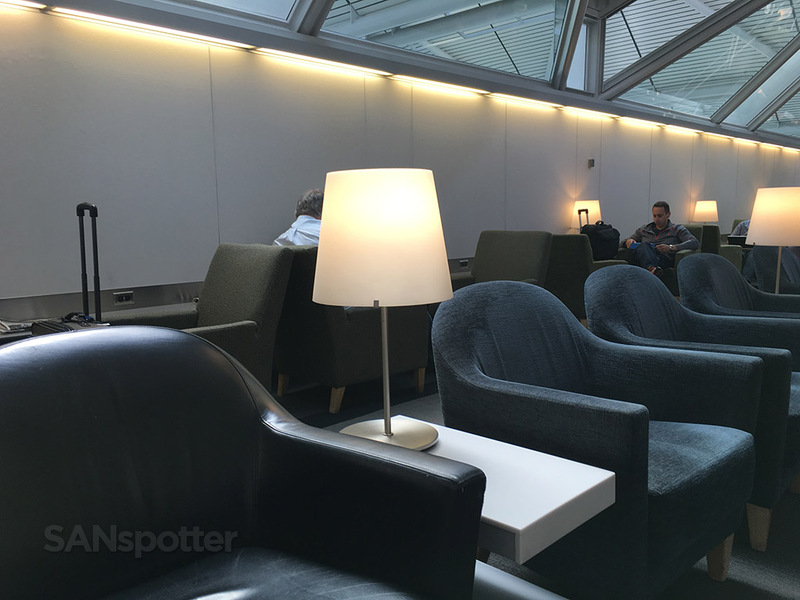 Airline lounge design pro tip: table lamps go a long way towards making a space feel cozy and comfortable! 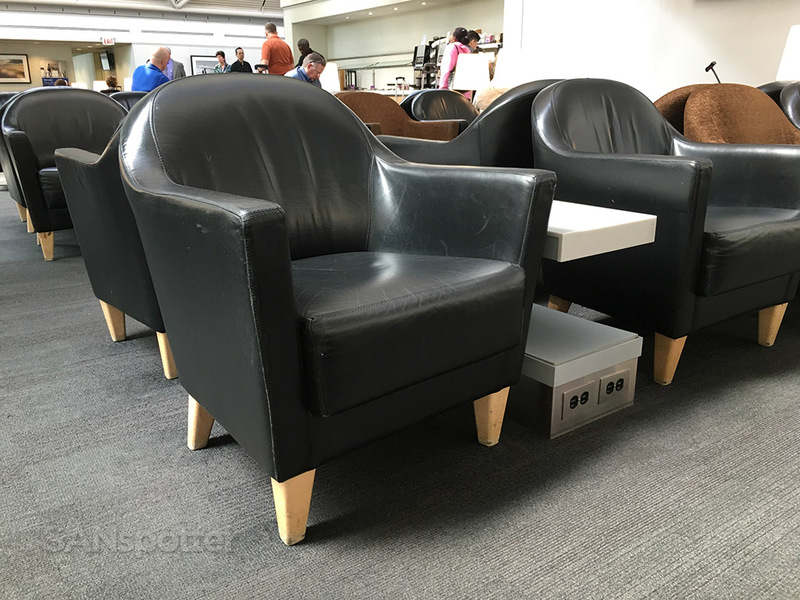 Some of the furniture looked to be well worn, but there were electrical outlets everywhere (which I found to be very convenient). The bar seemed a bit dark (and cramped) compared to the rest of the lounge. 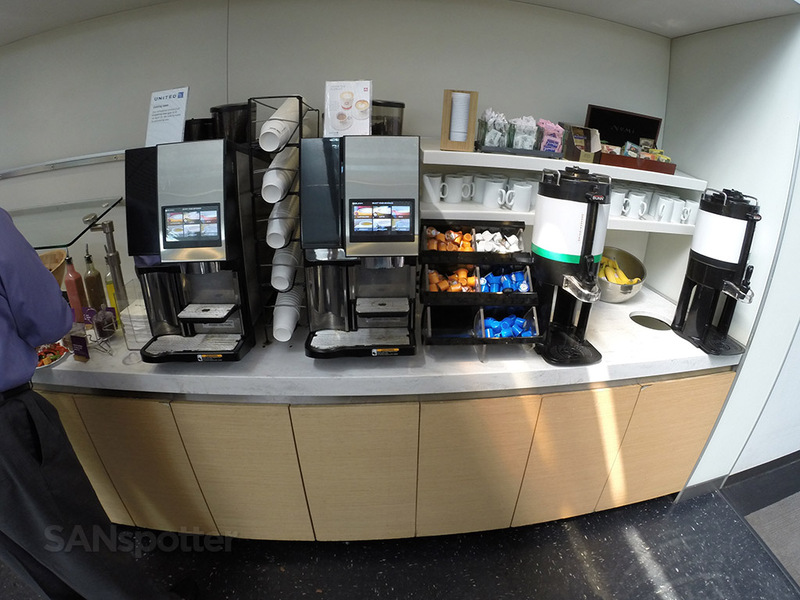 Located on the other side of the bar is a small cafeteria/business center. Not a very inspiring place to eat or get any work done if you ask me. Here’s another wide angle view of that dark section behind the bar. Finally, at the far back corner of the lounge, there’s relative peace and quiet! 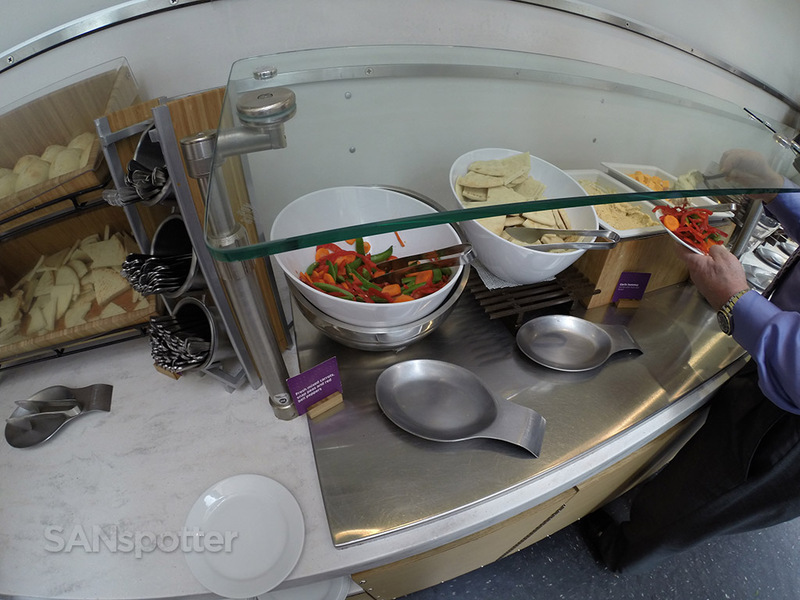 The self-serve food bar had been picked clean by the time I had arrived, but the good news is that they completely restocked it less than 10 minutes later. The rush to the refreshed snack bar was something straight out of one of those wild Africa TV shows, where you see the entire pack of lions aggressively descending on their fresh kill to begin the feast. I stood back for a few minutes letting everyone go ahead of me before I even dared get close. Self serve food and drink bar. 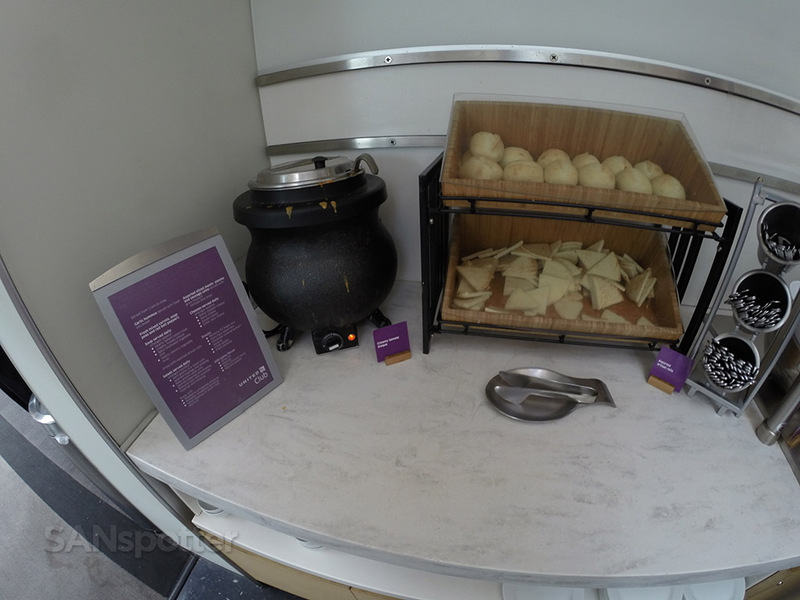 Starting at the left side of the food bar, there’s some soup and bread. 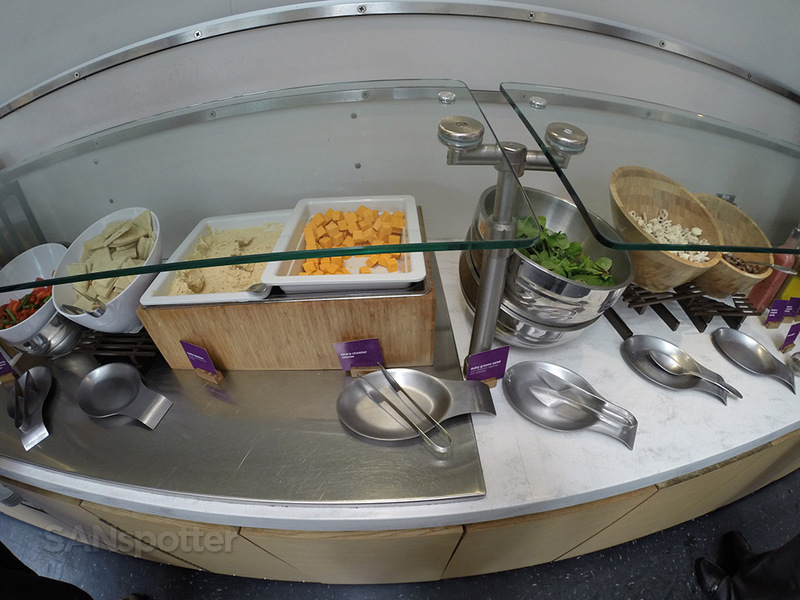 Moving on down the line, there’s some fresh veggies, pita bread, hummus, and cheese. I appreciated the healthy snack options here. Self serve drink options. No bottled water to be found, unfortunately. My overall impressions of this United Club were good. 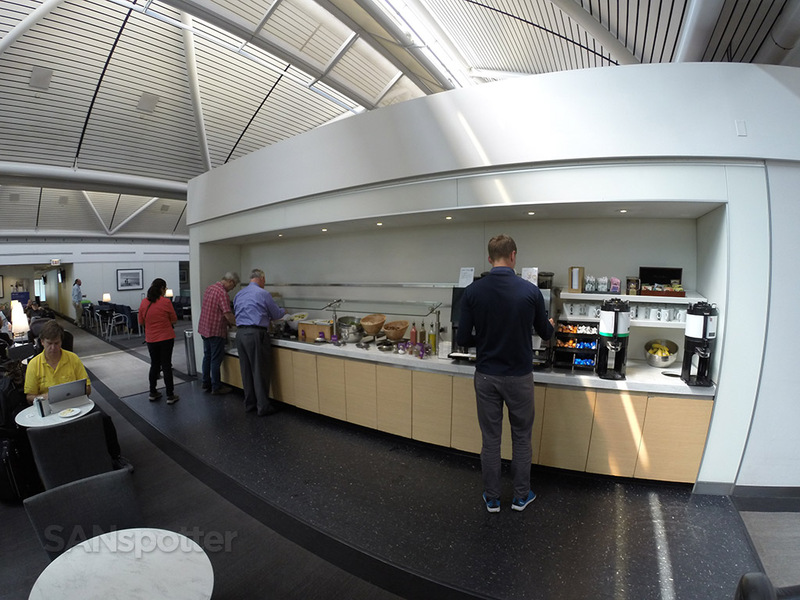 This is a very large space with decent food and drink options, but like most domestic airline lounges these days, don’t expect high quality (and large quantities of) free food. And the best part? Even though it was a decently full house, I had no problem finding a quiet corner to sit and relax away from all the noise and activity (of which there wasn’t much of anyway). 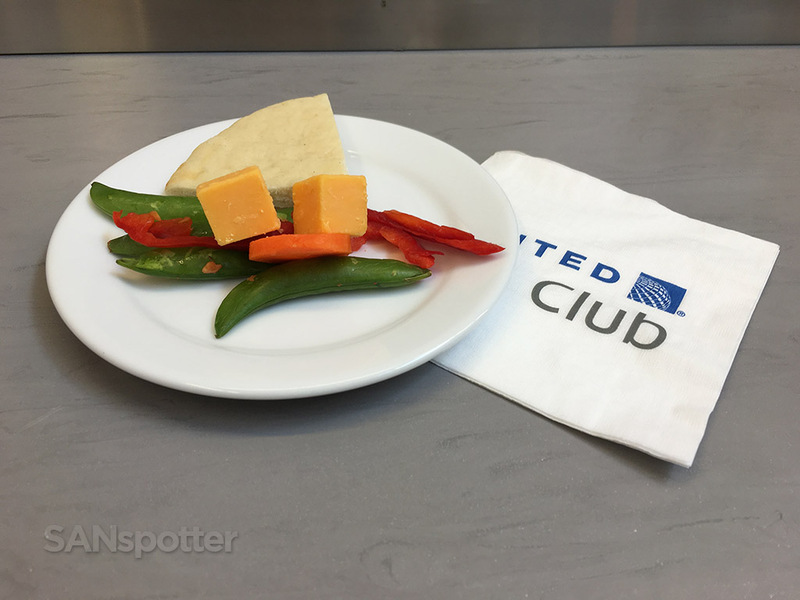 Enjoying my snack here in the United Club. My nice and quiet corner spot in the very back corner of the lounge. Perfect! Peace and quiet in the back corner is just the way I like it! 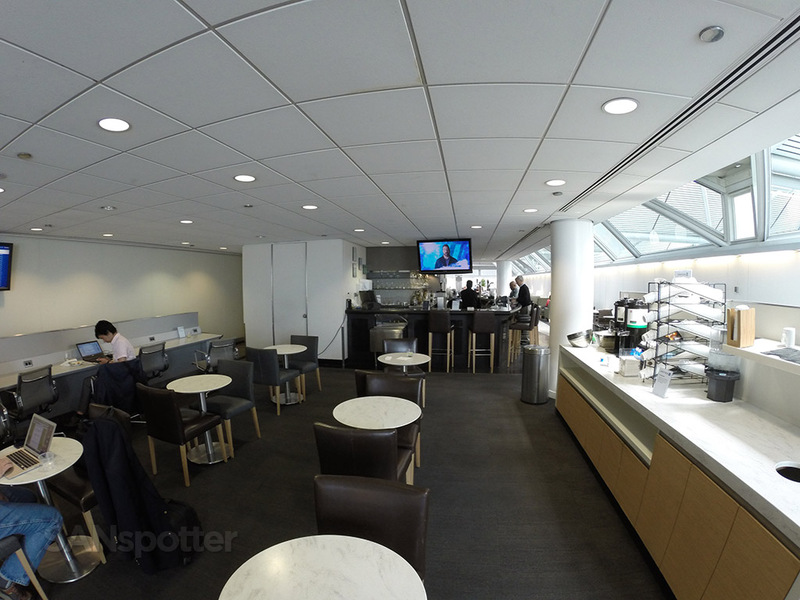 And yeah – for anyone one wondering, the newly renovated United Club is located between gate B18 and B19 in concourse B. At the time of this writing, the other club here in B (and the big one in C) have yet to receive upgrades. Happy United clubbing!